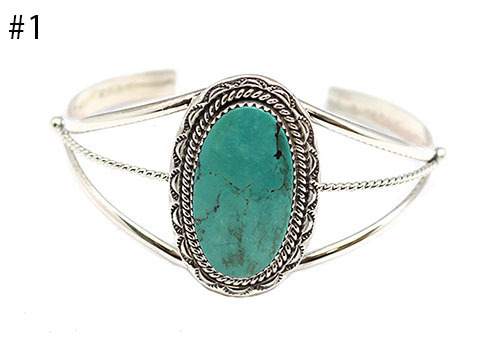 Sterling silver twist wire and split shank with a free form kingman turquoise stone. 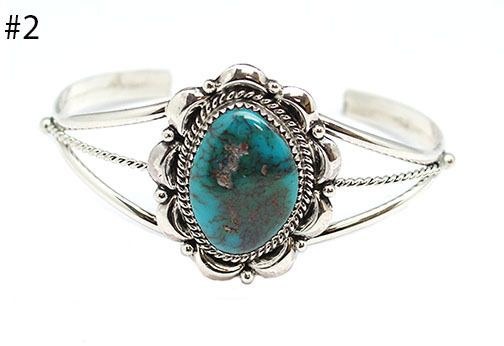 Silver work around the stone varies with either stamped or bumped scalloped border. Top measures approximately 1 1/4" to 1 3/8" long by 7/8" to 1 1/8" wide. Stones are assorted kingman in green shades. They are Navajo handmade by Lenora Silversmith. Shapes and sizes of stones will vary. Choose silver style when ordering.